As readers, we look for relevance before everything else. Once we establish that a story addresses our needs, desires, motivations and fears, we ask ourselves two more questions: Do I have to read this now? Can I trust what I am reading? But let’s stick with relevance, for a moment. 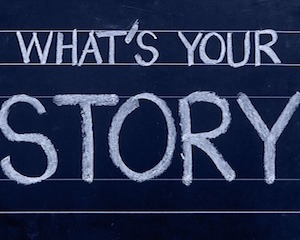 When you write, how can you make sure your readers feel your stories are relevant? Writers who write for everyone typically please no one. Their work is peppered with generalisations and motherhood statements: do your exercises first thing in the morning, they write. When writers are focused, they make a choice to address a particular audience, even if that means other audiences no longer want to read their work. They write: If you wake up most mornings and think that it’s too cold to get up and do my run, here’s three tips to get you out of bed and pumping. Think hip hop. Think rap. Hip hop and rap music are great examples of how to attract an audience with a highly targeted “voice”. I’m not thinking of the qualities of the singing voice here (whether or not rappers such as Snoop Dogg and Eminem can hold a tune). I am thinking of the words, the abbreviations, the syntax and rhythm that singers use to capture an entirely new musical audience. In fact, rap and hip hop artists tend to speak the words rather than sing them, as they deploy amazing rhymes. We instinctively choose the right voice in conversation with others. For example, we do not speak in the same way to children as we do to adults, or to our parents as we do to our friends. Voice is a choice when we write, too. Choose a voice that is authentically yours, but which matches the needs and preferences of your readership. · Three clear ideas of how to make your blogs relevant to your readers. · A strong sense of why relevance matters. · An advantage over all the other blog writers out there who didn’t read this post, and don’t make their stories relevant to their readers.